Advanced laser treatment for toenail fungus. Podiatrists Paul Mayo, DPM and Seth J. Brazier, DPM are committed to providing high quality comprehensive foot care, while increasing their patients’ quality of life. 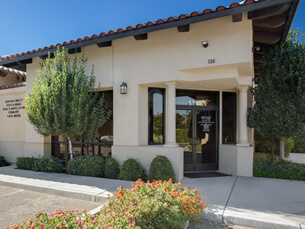 Serving the community of Visalia, California, Central Valley Foot and Ankle specializes in treating a variety of conditions including general podiatric concerns, surgery, wound care, sports medicine, padnet testing, and vascular testing. Central Valley Foot and Ankle accepts most insurances and welcomes new patients. If you have any questions or would like to schedule an appointment, call our office today! Central Valley Foot & Ankle Inc.